Florida probate litigation frequently arises when one or more parties contest the validity of a decedent’s will or trust. Consider a situation where a decedent makes last minute changes to her will, substituting one beneficiary for another. The former beneficiary may have reason to suspect that the new beneficiary procured the new will through force, coercion, or fraud. Based on this belief, the former beneficiary may challenge the admission of the decedent’s will to probate. Probate is normally where these sorts of disputes are resolved. But this assumes that all of the relevant parties had notice of the probate proceeding. 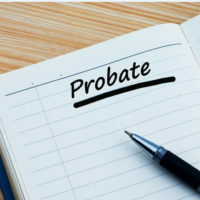 After all, probate is a judicial process, and like any such matter there are certain legal formalities that must be observed, especially when it comes to notifying the potential parties. An ongoing probate dispute from Palm Beach offers a helpful illustration. The parties in this case are fighting over a Florida will and trust prepared by a now-deceased woman. The plaintiff was a friend of the decedent. The defendant was her neighbor. In 2010, the decedent amended her Florida trust, which included her condominium. The trust amendment named the plaintiff as beneficiary, meaning that upon the decedent’s death the plaintiff would receive the condominium and most of the decedent’s personal property. However, a couple months before her death, the decedent amended her trust again, revoking the prior amendment and naming the defendant as the new beneficiary. After the decedent passed away, the defendant asked a Florida probate court for “summary administration” of the estate, transferring some personal property directly to the defendant and the remainder to the trust, where again the defendant was now the named beneficiary. The court granted summary administration, which ultimately transferred the condominium and other assets to the defendant. The plaintiff subsequently filed a separate civil lawsuit, alleging the defendant tortiously interfered with her right to inherit from the decedent. The courts have yet to decide the merits of this claim. Instead, the trial court dismissed the plaintiff’s lawsuit outright, holding she should have raised these issues during the summary administration of the probate estate. But on appeal, the plaintiff maintained she never received proper notice of those proceedings. The Florida Fourth District Court of Appeal punted this question back to the trial court. The appeals court noted that Florida law requires an interested party receive “formal notice” of any probate petition affecting his or her rights. More precisely, the notice must be in writing and the person giving the notice must attach a “verified statement” demonstrating proof of service. Here, the Fourth District said there was no record of any verified statement or formal notice. And while the defendant suggested the plaintiff “had actual knowledge” of the probate proceeding, the appeals court said that does not necessarily satisfy the requirements of Florida law. More to the point, the record is unclear as to what the plaintiff actually knew, so it was appropriate to return the case to the trial court for further proceedings. Need Help With a Florida Probate Litigation Matter? In Florida probate, the process matters a great deal. That is why if you suspect there may be a problem with a friend or relative’s will, you need to promptly seek assistance from a qualified Fort Myers probate litigation lawyer who can advise you of your rights. Contact the Kuhn Law Firm, P.A., today at 239-333-4529 to schedule a free consultation. Wolf v. Doll, Florida Fourth District Court of Appeal, Nov. 15, 2017.